FRANKFURT -- New-car sales rose 2.7 percent in February to 268,867 with Volvo, Jaguar, Seat and Ford among automakers growing faster than the market. Nissan, Porsche and Land Rover had a bad month. German registrations were 268,867 last month, according to data released by the KBA Motor Transport Authority. The increase ended a run of five consecutive months of falling sales in Europe's biggest market. In January, registrations were down 1.4 percent. Sales of diesel cars increased 3 percent in February, giving the powertrain a 32.6 percent market share. 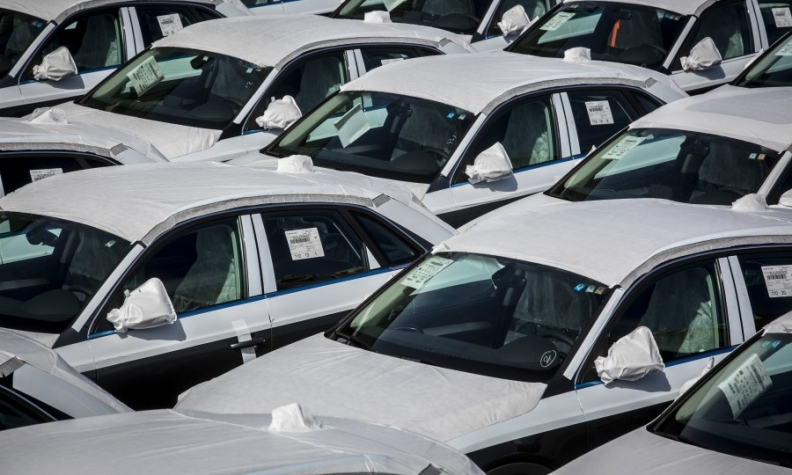 Gasoline-car sales dropped 2.5 percent for a 59.7 percent share. Promotion deals to swap older diesel cars for new models, which automakers are offering to try and avoid looming inner-city driving bans in Germany, seem to be behind the gain in diesel sales, said Peter Fuss, partner at consultancy firm EY. "Those discount campaigns appear to be providing some market momentum," he said. Sales of full-electric cars grew 82 percent for a 1.7 percent share. Hybrid car sales rose 83 percent for a 5.6 percent share, although sales of plug-in hybrids plunged 14 percent for a 0.8 percent share as the effects of the new WLTP emissions-testing regime continued to weigh on their availability. Brands had mixed results last month. Jaguar was the biggest gainer, with sales up 40 percent, while Volvo's volume rose 28 percent and Seat was up 19 percent. Other winners were Hyundai, whose registrations gained 17 percent, Jeep with volume up 15 percent and Ford whose sales rose 10 percent. Market leader VW brand saw sales rise 4.5 percent. Among the losers, sales at Porsche and Nissan fell 42 percent at each brand. Land Rover was down 30 percent while Peugeot dropped 8.2 percent and Opel was down 8 percent. Fiat volume declined 7.2 percent, while Renault sales fell 2.1 percent. • Download file here for German sales in February.